I’m Jess! 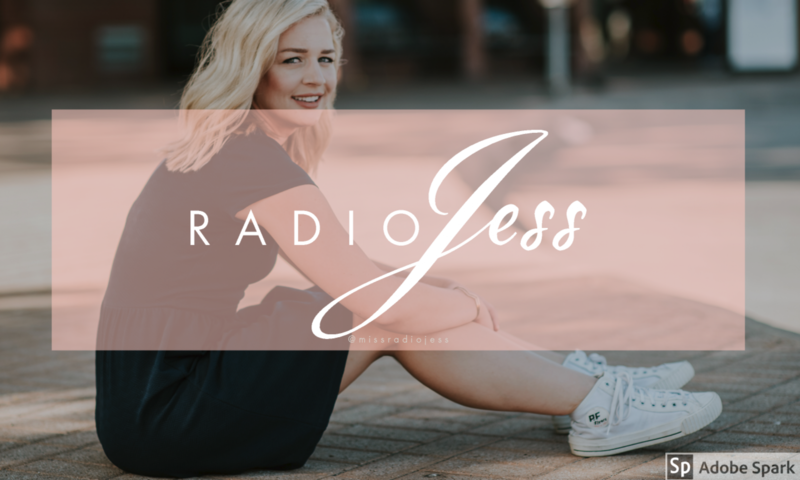 You’re friendly voice on the radio and host of Jess on the Job. I’m so glad you’re here. I wanted to create a place where we could connect further than on the airwaves and social media. Couple this with my love of writing and I think we’ve got something here. Care to scroll a bit further? I’d most likely sum myself up into these three words. I was always considered one of the boys growing up. It’s not uncommon to find me shouting at the television during a football game with the guys (or by myself) however, you could just as easily find me gossiping about the latest pop culture news over a glass of Malbec. A working knowledge of sports and celebrities may not qualify me to be the next president, but it’s all the rage in radio. A graduate of Baylor University, I never intended on doing broadcast. The dream was always softball, until I found myself two failed walk-on tryouts in and sitting in front of a university counselor telling me to get serious about my future. I still considered this conversation to be about a Plan B (that B could have easily stood for “broadcast”), until that backup plan became my greatest passion. It was sportscaster Holly Rowe who told me the best broadcasters are those who can write and write well. I believe this has propelled me through a fast-paced, highly-competitive career field. Couple that with a passion for people and here I am, nearly a decade later still doing what I love. Currently I specialize in country music and at-work listening on multiple stations across the nation. I feel so incredibly fortunate to be in this industry and have also had the chance to provide voice overs for dozens of clients on radio and television across the country, through my work with Global Media. I even had the chance to voice a character for an original-concept Stern pinball machine. My job has also given me a chance to meet and interview some really influential people like Taylor Swift, Garth Brooks, Ed Sheeran, Ludacris, Conan O’Brien, Eli Manning, Elizabeth Hurley, and more. Holding dear to my small town, California girl roots, I aim to spread that west coast sunshine wherever I go. Radio, television and even a pinball machine… I’ve done it all! Radio and voice overs seem to go hand in hand. Many who have the “voice of God” on the airwaves, dabble in the voice over world. I’m no different. It’s one of my greatest loves. Aside from serenading the world with my voice and infectious personality (I told you I was sarcastic, right? ), I have had the chance to voice commercials for radio and television, radio imaging and promos. It’s been a pleasure providing voice overs for my company, Townsquare Media, but I’ve also been fortunate to work with some great agencies like Encore Multimedia, Global Media Services, and Image Makers Advertising. Not to mention a rare opportunity to voice a character for a pinball machine. I am the voice of Melony Mellon on the original game concept for Stern Pinball, “Whoa Nellie! Big Juicy Melons.” The game was designed by Dennis Nordman, featuring hand-drawn designs from Greg Freres, both of WhizBang Pinball. I voice the main character for the production, a simple girl selling melons on her daddy’s farm. I honestly never thought I would break into character voices, but this was truly a treasure of an experience that I hope to expand on.